At this time of year I’m always in a bit of denial that winter is here to stay for a while. Or maybe more than a while. Why don’t I live in Hawaii? 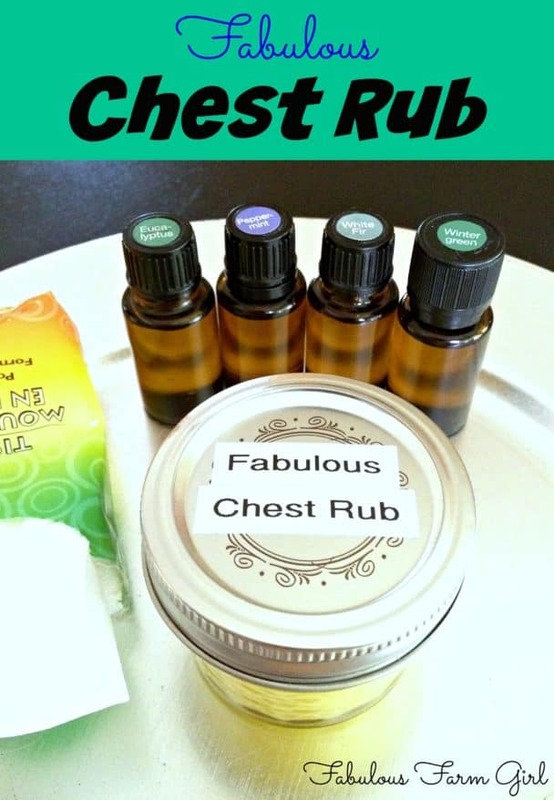 Winter inevitably means that cold and flu season is upon us and while I sure hope my family can avoid it like we did last year, I still made a bunch of this Fabulous Chest Rub just in case. If my trusty essential oils keep us all healthy again this winter, then I’ll have lots of my Fabulous Chest Rub to pass along to friends and family. In my never-ending quest to rid my house of questionable ingredients my first stop was the medicine cabinet. I’ve replaced pretty much everything in there with homemade remedies but Vicks Vaporub seemed to have a stay of execution. Considering that I banned petroleum jelly from my vocabulary several years ago, and Vicks is just petroleum jelly with essential oils of questionable quality, I realized it too had to go. Finding a replacement wasn’t hard. I just took my Fabulous Skin Salve and tweaked the essential oils with ones that work on respiratory and nasal issues. I only use certified pure essential oils because they are of the highest purity you can buy. Your skin is the largest organ in your body and what you put on you, you put in you, so whatever brand you use make sure it is pure enough to take internally. 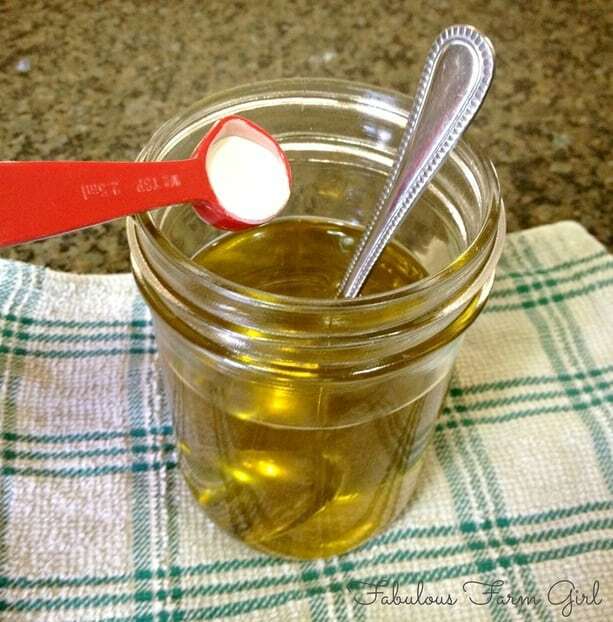 Put the coconut oil, EVOO and beeswax in a glass jar (I like to use a wide-mouth pint mason jar) and place jar in a pan about half-full of water. Heat up water, stirring mixture frequently until everything completely melts. The beeswax will seem like it’s never going to and just when you’re about to give up, Bam!, it’s gone. Carefully lift the jar out of the pan (use oven mitts please, it’s hot!) and place it on a dish towel on your counter. Immediately add arrowroot powder, by slowly sprinkling it into the oil, stirring vigorously at the same time to prevent clumping. Now you need to let the mixture cool for a few minutes because essential oils lose their medicinal properties in high heat. My rule of thumb is if I can hold my fingers hard against the jar for ten seconds without screaming, it’s ready to add the vitamin E and the EO’s. Not very scientific I know, but it works. Snip the ends of the vitamin E capsules and squeeze into the jar. Add the essential oils and mix thoroughly. 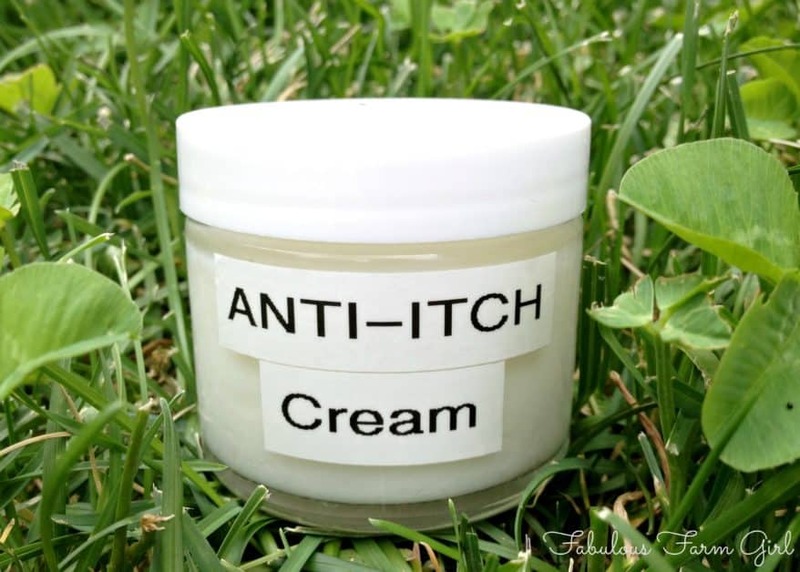 As soon as you have added your EO’s you need to get this stuff into jars stat! My favorite container is a 4 oz. mason jelly jar. Immediately pour into desired containers and cover with a piece of paper towel so nothing weird gets in there. Do not disturb for several hours and preferably overnight. Once completely cooled, put lids on and store at room temperature. This recipe will fill two 4 0z. jelly jars so you can keep one and give one away to a sick friend. Wow, I love how you’re always willing to help people in need. You should go treat yourself right now with those Oreo Truffles you stashed in the back of the freezer. Good job! Combine first 4 ingredients in a glass jar and place in a pot half-filled with water. Bring water to a boil and stir frequently until ingredients are completely melted. 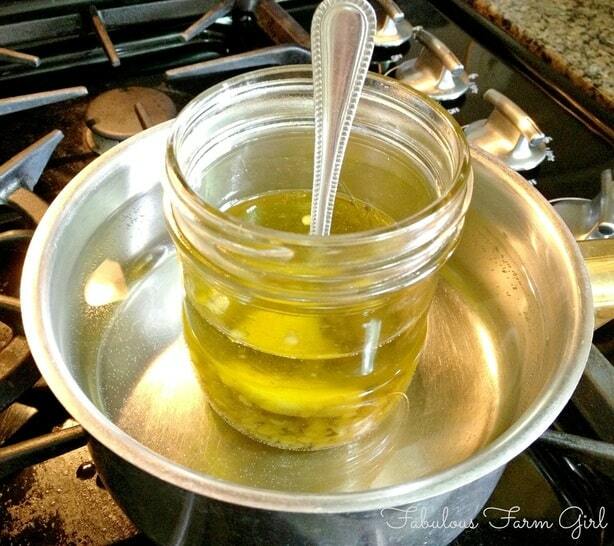 Remove jar from pan and place on a dish towel on the counter. Slowly add arrowroot powder, stirring constantly to avoid lumps. Allow mixture to cool enough that you can touch the jar comfortably for at least ten seconds. Add vitamin E and essential oils and stir well. Pour into glass containers with tight fitting lids. (I use 4 oz. mason jars). Cover with a piece of paper towel so nothing weird gets into it. Do not disturb for several hours and preferably overnight. Once completely cooled, put lids on and store at room temperature. Why not just use Breathe blend in the rub? And is there a reason you added more eucalyptus? Thanks! Hi Robin–Thanks for your question. 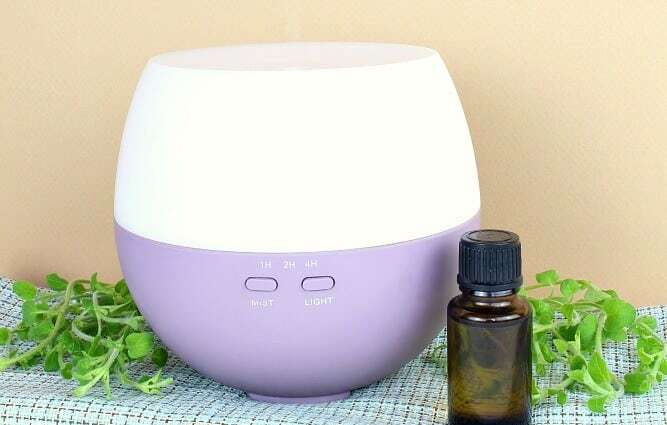 Breathe is a wonderful blend and you certainly could use it alone for any respiratory issue. But I have found that when someone is sick and the illness is mostly residing in the lungs (bronchitis, respiratory virus, chest cold, etc) eucalyptus is a powerhouse oil. Breathe has eucalyptus in it but I wanted to increase the concentration of it in this rub as it is applied directly to the chest for the very purpose of relieving lung congestion. The other reason is not physical but mental. Since this is an all-natural replacement for Vicks Vapor Rub adding more eucalyptus mimicked the smell of the store bought version more closely and that seems to be comforting to people who grew up with Vicks. Of course you could replace the eucalyptus with more Breathe if that works better for you. Have a great week! It sounds amazing! Peppermint oil is my favorite. It saves me. I have a chronic headache and it’s the thing I can use over and over when I can’t take any more medication but am still hurting. I use it topically. But I’ve also used it to clear my nasal passages. Thank you for giving me another way to use it. And I’ve been meaning to get some eucalyptus oil. I think you may have just nudged me into it. Hi Miss Robin–thanks for stopping by! Peppermint is a favorite around here too. My husband and son are runners and they use it before a run to open up up there nasal passages and increase their energy levels. I put it on my cold sores and can get rid of one in 2-3 days. With cold and flu season right around the corner I would definitely recommend adding eucalyptus to your essential oil arsenal.Have a great week! I wonder if there is something other than coconut oil that can be used? I only ask because I’m allergic to coconuts. This would be great to have around the house, I’m always sick during Winter. I’m stopping by from SITS & I hope your having a great day! Hi Leslie–thanks for your question. You can just replace the coconut oil with more olive oil. So for this recipe you would use 1 cup of EVOO and increase the beeswax to 4 tbsp (1/4 cup). Everything else in the recipe would stay the same. We love this Vapor Balm for easing chest congestion but if you put it on the bottoms of your feet and then put socks on it also stops a nighttime cough better than any over-the-counter cough syrup. Hope that helps and hope you have a healthier winter! How do you feel about emulsifying wax? Things I make with beeswax always turn out hard but the emulsifying wax gives me more of a cream product. Hi Casey–thanks for your question. I am not a fan of emulsifying wax for several reasons. First there are 2 kinds of emulsifying wax. One is made from vegetable wax and the other is made from petroleum. I don’t put any petroleum on my skin so that one is out. Unfortunately the petroleum version is cheaper to produce and therefore much more prevalent. If you managed to find vegetable based emulsifying wax it is either soy or carnuba. If it’s soy it is GMO and if it’s carnuba then I’m a bit wary due to the environmental problems caused by palm oil production. The next problem is that emulsifying wax is created when the wax material is treated with a chemical detergent (typically sodium dodecyl sulfate or polysorbates) to cause it to make oil and water bind together into a smooth emulsion. SDS is the same as sodium laurel sulfate which can not only cause skin irritation but it’s been llinked to several internal/hormonal problems. Polysorbate comes with high contamination concerns according to the EWG. That was probably a longer answer than you were looking for but hopefully it explains why I don’t use emulsifying wax. It does have a lovely consistency but for me the risks just aren’t worth it. Of course It is a personal choice so if it works for you and your careful about where you source it then keep using it. Hope that helps. I use crock pots on low for melting my oils and beeswax for salves. They are a little slower but I don’t worry so much about the oil or beeswax causing a fire. What a great idea, Jamie! I have a tiny crockpot that came with my big one. I think is for appetizers but it’s really too small so I’ve never used it. But thanks to your great idea I’m gonna try it next time I make one of my salves. Thanks for the idea! Would this recipe work in deodorant containers? Hi Maggie–thanks for stopping by. This vapor rub would not work in a deodorant tub, you’ll have to put in some sort of jar. Once it sets up it will be the consistency of Vicks VapoRub or petroleum jelly and you will be scooping it out with your fingers and applying it to the chest. Have a great day! Can this be done just using coconut oil and just adding the oils to this or do I have to use beeswax? Hi Lynn–thanks for stopping by. The beeswax and other ingredients are used to create the same texture as store bought Vicks VapoRub. If you want to just use the essential oils and coconut oil the benefit would still be the same. Keep in mind that is could be harder to use depending on the ambient temperature as coconut oil will melt over 76 degrees and be very hard if it’s too cold. I would barely melt the coconut oil and let it cool for a few minutes then add the EOs. That way the EOs will be fully incorporated. Hope that helps. Is this safe to use on babies.? Hi Kristy–thanks for stopping by. The oils is this vapor rub are very diluted and should be fine to use on a baby. Just a little on the chest and a little on the bottom of the feet should work. Hope that helps. This rub sounds fantastic and I have almost all of these ingredients! That’s awesome Jennifer! 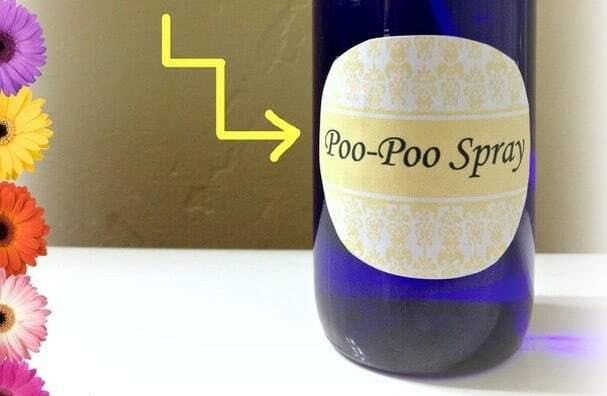 You are definitely going to want this next time someone in your house is sick. Here’s an extra tip: if you have a nighttime cough, rub this on your chest and then rub a generous amount on the bottom of both feet. It won’t rub in all the way but that’s okay. Put on a pair of socks and go to bed. For reasons I can’t explain it is very effective as a cough suppressant. Have a great week! I’ve been wanting to do a replacement for Vicks for a long time, since I learned about how bad petroleum jelly etc are. I’ve been with doTerra a short while and I like the idea of your webinar. But with this recipe, I just now caught that you use arrowroot powder. I was curious why? Or what is the function, I guess? I already have been using EVOO and coconut oil for years, and just bought the beeswax, so I think I am set. And luckily I already have the arrowroot too. I liked that you describe this as being as close to Vicks as you could get it – some of the other recipes I’ve pinned look more creamy (like Noxema skin lotion?). 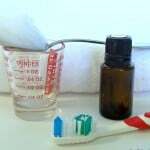 I also remember trying some Mentholateum, which some claim work better or smells better, but to me, it is missing the eucalyptus and isn’t as strong for the coughs (that’s why I have continued using my Vicks up and now they are nearly empty – and I can hopefully reuse/repurpose the containers!). Also … In my doTerra kit, it came with fractionated coconut oil. Would that be something one could use in this recipe instead if regular coconut oil?? One of the readers indicated an allergy to coconut oil, so I was curious if that might be less allergenic? Just a thought. Hi Julia–thank for stopping by! 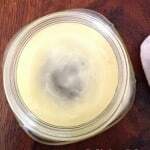 I use arrowroot powder in my salves to help cut greasiness. You could also use cornstarch but I try to avoid it due to GMOs. You can leave it out with no problem if you prefer. I applaud your efforts to stop using petroleum jelly and in case you didn’t know, Mentholatum is just petroleum jelly with menthol added so I would avoid that too. If you don’t have a coconut allergy then I highly recommend regular coconut oil for this recipe, not FCO. Since coconut oil is solid at room temp. it gives the salve consistency you want. FCO has had the fat spun out of it and therefore is liquid at room temp. It is fine for a carrier oil but the removed fat is one of the healthiest fats for your skin and body and helps support your immune system. If you have coconut allergies then you won’t be able to use either kind of coconut oil. Just double the EVOO amount and increase the beeswax to 1/4 cup. This recipe works great for coughs. Before bed, rub some on the chest and then put a generous amount on the bottoms of both feet rubbing it in as much as you can. Cover with socks. Hope I’ve answered your questions and have a great day! Hi Leah – well I have it in the crockpot like Jaime mentioned earlier. Great idea! Gave me the time I needed to fiddle around with grating up some beeswax. Next time I will fire up my digital scales and try it, as my analog scales lied when I scraped out what I thought looked like 3 Tbsp beeswax (which my converter said was roughly equivalent to 1.5 oz), and it still said “zero” even though I already had it set to tare weight and zeroed before I started. That sucker is going to a charity group. In the meantime, I measured it out not really “packing it” but not really “fluffing it” either and it was just a tad over 3 Tbsp. I figure there’s enough slop in all of these as the measurements are a little flexible (in reading through about 10 or 20 other Pinned “vapor rub” recipes. Yea, I knew the Mentholatum had petro jelly too, which added to the gross-out factor. I only bought it because it was the “retro” thing to do – the old Mentholatum building here in Downtown Wichita is now “The Spice Merchant” with all sorts of cool coffees, teas, spices, herbs, and I don’t know what all …it was originally here before the company got sold and moved upstate New York. I basically didn’t like the even greasier texture and the “smell” wasn’t quite right, seemed waaaay too skimpy on the essential oils and too much of the (cheaper) petroleum jelly. Maybe the Old Doctor who used to make it had a better product but that was back when my grandparent were alive and they were in their 80’s when they died nearly 25 years ago. (*gasp* has it been that long!?). So anyway, I got rid of that stuff pretty much ASAP – maybe used only a couple swipes at it, and it wasn’t near as good at killing the coughing and congestion as Vicks did (even as Vicks was likely building up a layer of gook that I still have yet to detox, along with who knows what I’ve eaten over the past 50+ years)…haha and so it went out. But yea… I know it will all work out, since it’s basically the EO’s that are doing the work, not the coconut and olive oil so much. However…. I already rub olive oil into my skin and abdomen area pretty much every night and have been for the past 5-10 years, as well as coconut oil into my c-section scar. 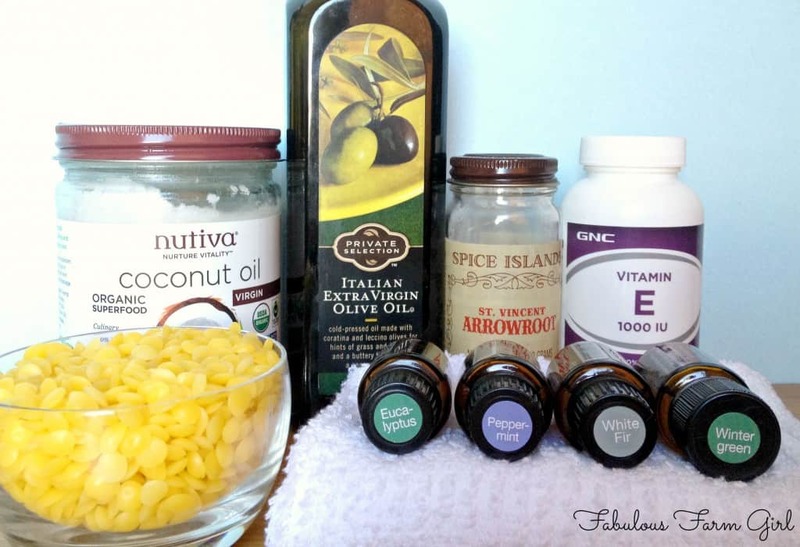 The body benefits greatly from EVOO and Coconut oil for other benefits, and I don’t hesitate to use it. I basically only asked about the fractionated coconut oil for the benefit of that lady who was allergic, not sure if she’s been back to see what you wrote. Okay well better quit jabbering and go stir my elixir of yumminess (was funny, because while measuring out the coconut oil and the olive oil, I thought, oh well, at least this way if someone accidentally licks their hands after smearing on the rub before bed, it won’t kill them!!). Ohhhh and that beeswax was a mess to scrape – I used a vegetable peeler because I didn’t want to go hunt for my old style 4 sided veggie grater… but it sure smelled good, that faint honey smell… kept wishing I could eat it and decided a few scrapes wouldn’t hurt. We’ll see. (it was a bit chewy!). Hmmm not thickening up. Do you think melting some more beeswax will give it more of the spreadable but not spillable quality?? Hi Julia–sorry for the late response. Did the vapor rub finally thicken up? It does take several hours depending on how cool your house is. If it didn’t then i’m wondering if you followed the original recipe or substituted something for the coconut oil. You can slowly and gently reheat the mixture, adding some more beeswax and that should tighten it up. Let me know how it goes. Wellll it thickened to a consistency like ummm pudding or face cream. I used coconut oil, EVOO, beeswax, arrowroot. The main “substitution” I did was this Sweet Almond Oil combo from (can’t remember brand exactly – like Healthy Home or some such, it’s the “official” brand fron the Edgsr Cayce so?? website), and turns out it is a mixture of sweet almond oil, the vitamin E (which I didn’t have on hand), and they had it in a carrier or peanut oil and grapeseed oil I believe – the product intended as massage oil. It’s what I had on hand. I also added in more beeswax and that helped thicken it. Oh and it’s been very cold here, no worries on that!! I tried it last night and it was so smooth, like a hand lotion, but I felt it needed more oils. Was looking at Vicks and it mentioned thymol and I don’t remember this recipe of yours including thyme oil, but I have some and will stir it in. Maybe add more eucalyptus and peppermint to get a more “Vicks-y” smell? I don’t remember if I even got Breathe with my new doTerra intro kit. Will have to go look. I’m thinking I also spiked it with just a dash, not more than a half teaspoon if that, of natural apple cider vinegar, on the thinking that NACV has the good mother of vinegar to fight bacteria and such. In hindsight it would have been better to do a batch straight to get s more accurate idea of the resulting consistency. Maybe the NACV somehow interferes with the jelling process? The other thing I keep going to was not knowing if I truly measured the beeswax – because I was never confident that it was the 3 tablespoons by weight or by volume, as I only had a brick of beeswax, not the little beady “pastille” things. I was having to shave it off the block, so adding more later on deemed to be the right direction, but of course, it is still a lot “goopier” than the usual Vick’s type consistency. But – as my husband pointed out, the arrowroot is a thickening agent too, and may be the reason why it feels more like w pudding or hand lotion (maybe I am still looking for the Vick’s texture and need either more coconut oil or more beeswax? Well it felt good last night but just seemed not as intense in oils, so I may just tweak the EO’s some more and let it ride – at least it felt good to just run it in all over!! In which case, I’ll use it up that much faster knowing it does not have petroleum oil and so I can basically drown in the stuff, so to speak, and it will be good for me. Maybe? It’s still fun so I don’t mind playing with this and seeing what it does. how long a shelf life does this have. 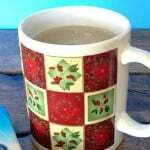 since it is now january and we have all gone through the cold and flu in our home , should i wait to make this next fall or can i make it now and carry it over to the next fall? Hi! I was wondering if you could tell me how my much does the 3 tbsp. beeswax pastilles weight! Where I live is hard to find the beeswax in pastilles and I could only find it in sheets! Thank you!